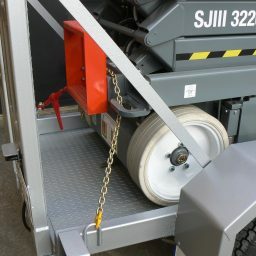 This New Skyjack 3220 20 Foot DC Electric Scissor Lift is mounted on a new purpose built trailer. 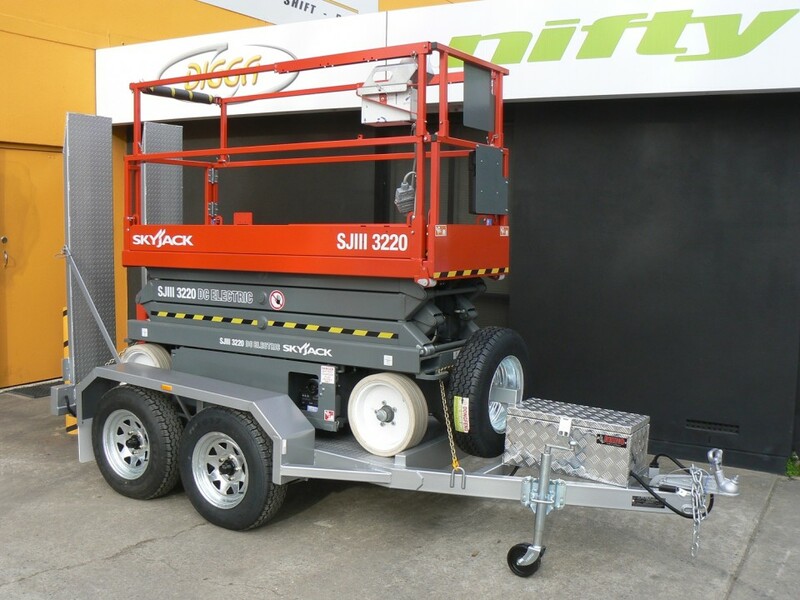 Skyjack SJ3220 20 Foot Scissor Lift with Trailer Package has drop axles and specially contoured deck to assist with approach and departure angles. 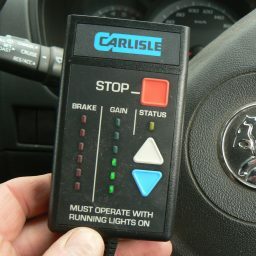 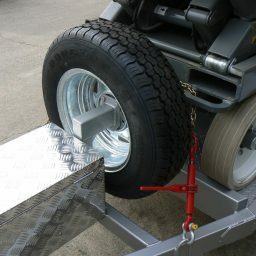 Trailer is a 2800KG GTM with electric brakes as standard.